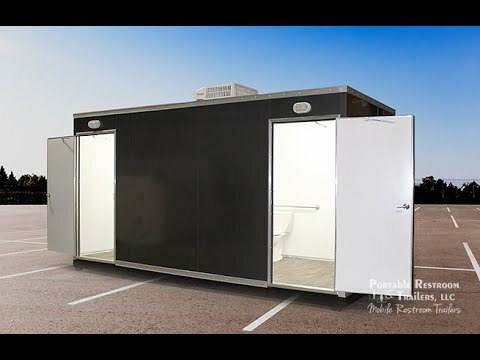 The Double ADA Portable Restrooms Park Model Skid Unit | Oahu Series is built exclusively to meet ADA standards. This unit features 2 suites, each with a white ADA toilet, high clearance wheelchair accessible sink and grab rails. Toilet paper holders and paper towel dispensers are included. This unit requires a direct to sewer connection and city water hook up, which makes this unit perfect for semi-permanent locations. This park model is a fully climate-controlled environment maintained by air conditioning and heat strips.